HONOLULU – Hawaiian Airlines today announced it is acquiring two Boeing 717 aircraft to offer even more flexibility for guests flying between the Hawaiian Islands. The aircraft will enhance Hawaiian’s already robust interisland network of some 160 daily flights when they enter service by early 2017. 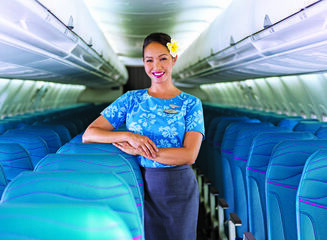 The two aircraft, which will bring Hawaiian’s B717 fleet to 20 aircraft, will allow Hawai‘i’s flagship carrier to add capacity during peak travel periods such as holidays and meet growing demand for mid-day connections by adjusting its schedule according to the needs of travelers. The aircraft, which are on a six-year lease, were previously operated by Volotea, a Spanish carrier switching to Airbus 319 aircraft. 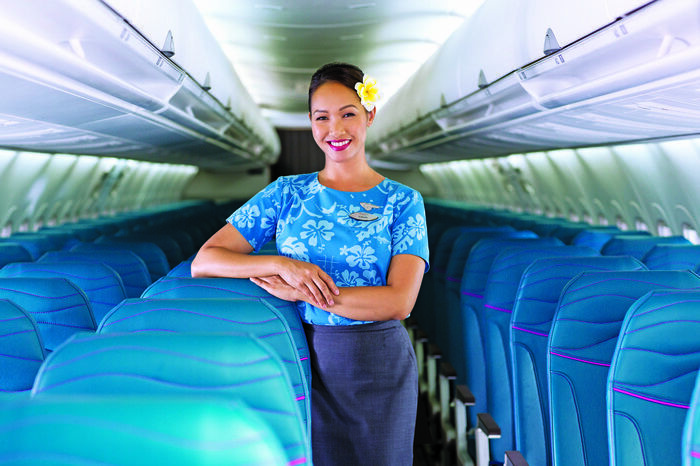 The aircraft, which seat 128 passengers in a 2-3 main cabin configuration, will enter Hawaiian’s network after being retrofitted and adorned with Hawaiian’s Pualani livery. The aircraft will be named Koa’e Kea (white-tailed tropic bird) and ‘Akiapola’au (a Hawaiian honeycreeper), according to Hawaiian’s practice of naming all of its B717s after native birds.